I suppose it’s possible to have too much of a good thing. Too many avocados? I’m not sure that’s possible. What? 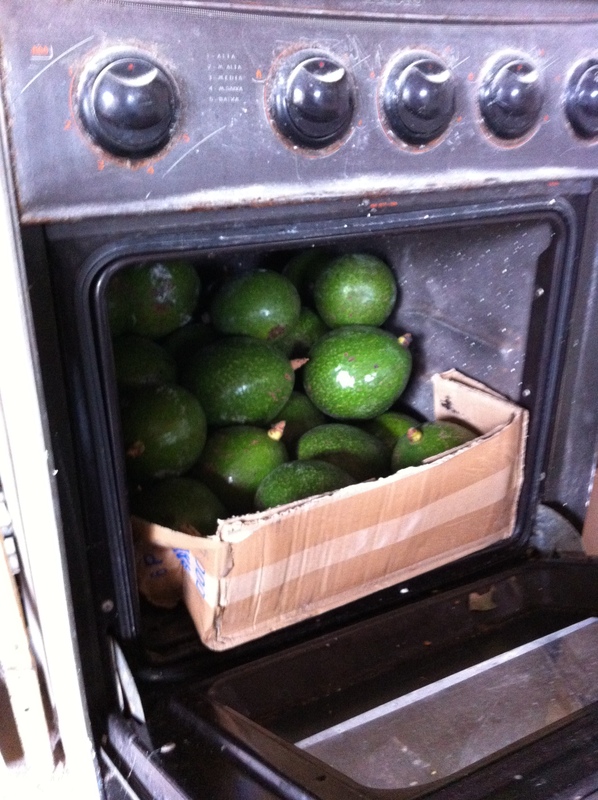 You don’t store your extra avocados in the oven? Mostly here we mix them in milkshakes (unbelieveably good, but filling!) and eat them straight with a spoon, maybe a sprinkling of sugar (yeah, sugar–never would have thought to try it until I got here). We also throw it on salads and eat it as a side-dish with dinner, although that’s not very Brazilian of us. It is also my daughter’s favorite fruit, so they definitely don’t go to waste in our home!